In this post, let's look at some of the best recumbent bikes that are suitable for seniors. In the past days, when recumbent bikes didn't exist, the only way for cycling is outdoor. However, people with health conditions and elderly were not able to do cycling due to their condition. 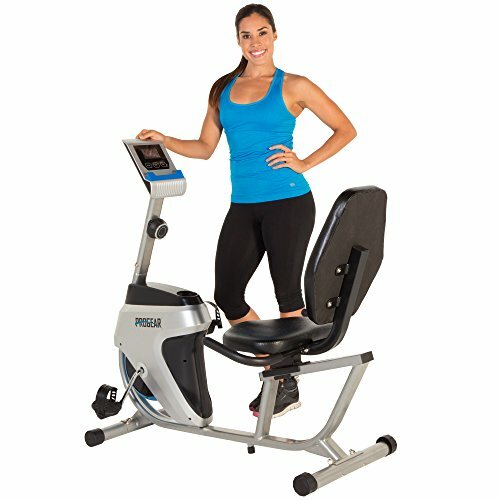 Fortunately, today we have a wide range of recumbent bikes that are specially meant for light total body workout for seniors. 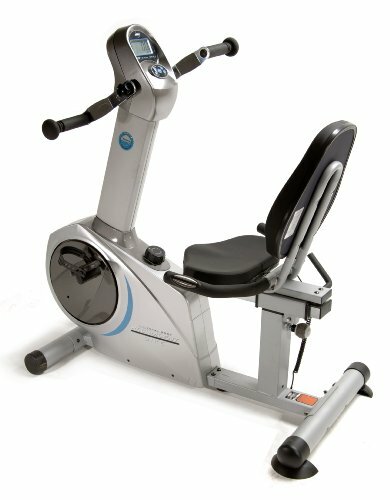 Contrary to the power workout spin bikes, these recumbent bikes are friendly to seniors and are easy to drive and comfortable to use. As recumbent bikes gained popularity more, the bike manufacturers started competing. 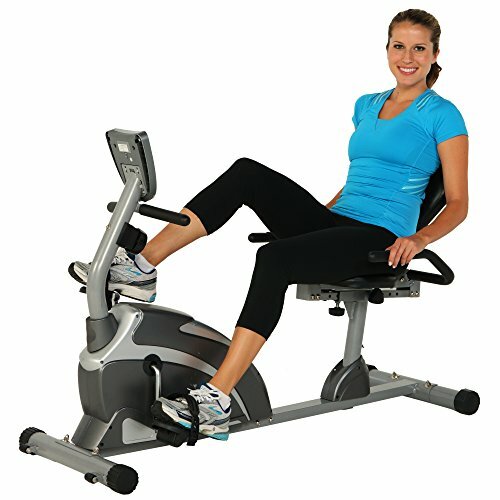 Chances are there that you are overwhelmed by the variety of recumbent bikes available and are on this post. I've done a strategic research, and included some of the really good recumbent bikes that are worth it. This is the best recumbent bike for seniors you can ever get, and it's well-worth for the price. This bike takes around 1 hour to assemble with an easy to follow manual. After assembling, the first thing you notice is the two window LCD. There are also 29 built-in workout programs and 12-course profiles. The multiple profiles will be useful if many people are using the same bike. The statistics collected by the bike can also be uploaded to their website via USB thumb drive if you are not a privacy freak like me! The heart rate monitor sensors are at the side-bars of the bike. As the sensors are not at the front handlebars, it may be quite disappointing to some users. Schwinn would have considered putting the pulse sensors on the handlebar as it's a not a recumbent bike with arms workout. As always, with any Schwinn bikes, the build is top-notch. The center frame is made of steel and the bike comes with two integrated levelers that do the job of keeping the bike sturdy. It means the bike can also be used on slightly uneven surfaces without any wobbling. The comfort of this bike is excellent. The seat is thickly padded for maximum support. The backrest is great with a little bulge at the base, which supports your lower back while working out. With this feature, it will be comfortable for you to workout if you have back pain. The resistance is magnetic, and there are 25 levels of the varied intensity levels. The bike is super-silent and makes no noise at all due to the V-belt drive. I picked this bike as the second top pick because of the arms this bike provides for upper body light workout for seniors. The moving arms enable the chest, arms and also the shoulders to be worked out. This increases the cardiovascular endurance of the overall body. The bike is sturdily built with a steel frame and supports users weighing up to 250 lbs. This bike is not meant for people heavier than 250 lbs. The seat of the bike is comfortable and is thickly padded. The backrest is also padded for good back comfort. The seat can be moved front and back to accommodate the users who are from 5 ft to 6.3 ft taller. There are also side handlebars to ensure extra safety and grip while working out. There are 8 levels of magnetic resistance which makes the workout of varied intensity easier. There is only one tension knob that controls the resistance of both the moving arms and the pedals single-handedly. The bike is very silent while driving. The heart rate monitor is also included in the unit. The console does the good job of displaying pulse rate along with all essential data like time, distance, and calories burnt to keep you motivated. The console is powered by two AA batteries like most of the exercise bikes. The only downside I found is that the bike lacks transport wheel. This may be a big downside for people who need to frequently move the bike from one position to another. At least two people are required to lift this 120-pound recumbent bike while moving. 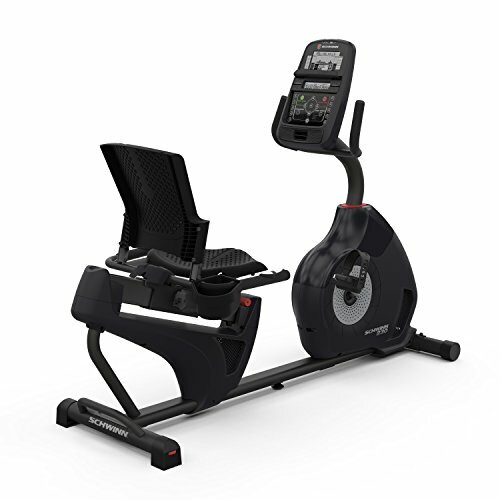 If upper body workout is essential for you, this recumbent bike won't disappoint you. 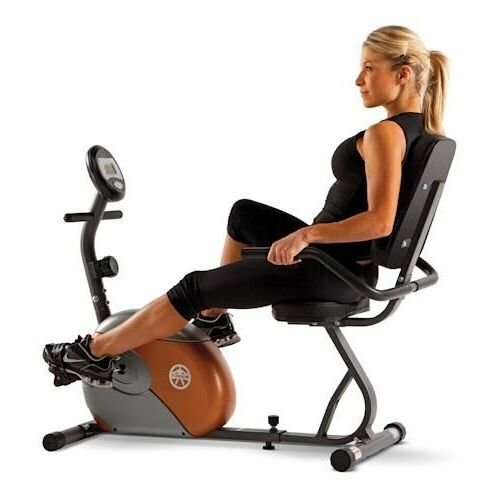 Here in this post, I've listed some more recumbent bikes with moving arms. The best thing you notice initially with this bike is that the bike is easier to assemble and setup. The build quality is robust and durable. The bike frame is made of steel, which speaks volumes about the build quality. The bike demands an even surface or a mat for it to smoothly function without any rocking. The resistance mechanism is magnetic, there are 8 levels of resistance. When you turn the tension knob for increasing resistance, the magnets on the either side of the internal flywheel move closer. This demands extra pedaling by you, thus effectively strengthening your leg and calf muscles. The seat can be adjusted to fit the people between the heights 5.2 feet to 6.4 feet. The people who are shorter may have to stretch their body and legs to reach the pedals. You can also adjust the position of the seat, by just pulling out the adjustment pin and pushing it to the slot. The seat is big and padded greatly. The backrest also offers good comfort and is slightly leaned backward as always. The seat is only 1.4 ft from the ground making it comfortable for seniors to get on to the bike without any hassles. The handlebars of this bike consist of pulse sensors that report you the heart rate. Apart from this, the LCD displays all the essential data like distance, time, and others. The drive is by V-belt. This makes the bike to be a good silent bike like most of the good recumbent bikes in the market. The belt drive also ensures no maintenance at all. As usual, it will take about an hour to assemble the bike. It'll be easier to assemble the bike and get started. The bike has a small footprint than most of the high-end bikes. The bike weighs only 66 lbs. This means you can easily store this bike in your closet without worrying about the space to store. This is the most affordable bike you can get and delivers absolute value for the money. The smaller footprint doesn't always equate to poor build. The steel frame construction is great, and the bike stays sturdy even while doing power workouts at fast speed. The bike can easily handle the individual who weighs up to 300 lbs which is great. Although people above 300lbs are reportedly using it, if you are a heavy-weight person, I advise you to stay away from this. The resistance mechanism is magnetic. You can choose between the 8 levels of resistance by turning the tension knob. This gives you a good workout for your leg muscles. The bike's seat is very comfortable. The backrest is slightly leaned back to provide a good support for seniors with back pain. Although the seat is not as thickly padded as some of the high-end bikes like Sole Fitness R92, it is still comfortable. The bike doesn't come with the heart rate monitor. But it still comes with a small LCD console that displays all the basic data like distance, calories burnt, time and others. I think for normal use, this is more than essential to keep you motivated. This bike is slightly bigger than that of Marcy ME 709 that I've reviewed above. But this is still smaller than most of the recumbent bikes, I've reviewed earlier in the post. As usual, the design is of steel and seems sturdy. The bike should be used only on even surfaces. The lack of levelers make the bike not suitable to use on uneven surfaces without rocking. The magnetic resistance is of 14 levels. This is higher than most of the entry-level recumbent bikes that come with 8 levels of resistance. The belt drive is smooth and the bike makes no noise at all, unlike other spin bikes with chain drive. I think that at the highest tension level, the bike could've offered more resistance. At this point, however, it's worthwhile to note that these recumbent bikes are not meant for intense workouts. The wide LCD console displays all the data like calories burnt, time and distance to keep you motivated throughout the workout. There is also a smartphone and water bottle holder at the bottom of the console that helps you to keep you entertained and hydrated during the long workout sessions. This bike like that of Marcy ME 709, don't have any heart rate monitor sensors to track your pulse rate. When it comes to comfort, the bike flaunts a "step-thru" design that enables you to get on and off the bike super-easily. This is helpful for seniors with disabilities. The bike seat can also be adjusted on the rails to help short people to reach the pedals comfortably without stretching and straining their leg muscles. The handlebars are also located at the sides of the seats, like most of the bikes for seniors to ensure more safety and comfort. The bike would not be ideal for you if you are below 5 ft or above 6.3 ft. These are some of the good recumbent bikes for seniors. This post is the result of a good amount of research for hours. Make sure that you consider every aspect of the bike and consider the best one for your needs. Hope you found the post helpful. Here are some of the good recumbent bikes we’ve selected and reviewed based on hundreds of user reviews.